August 7, 2009 by Ken Ward Jr. Tomorrow evening, Dwight Harshbarger will be reading from and signing copies of his new book about the Hawks Nest Disaster. 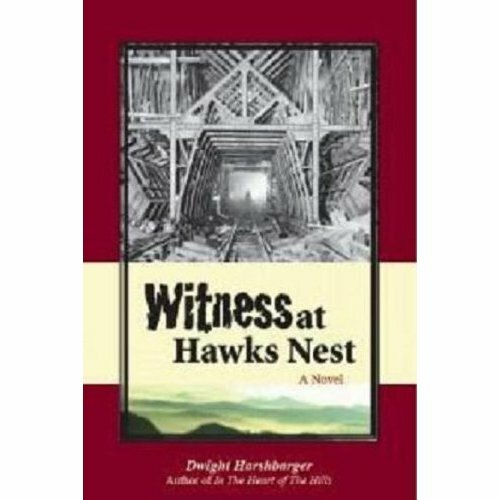 Witness At Hawks Nest is a novel about the disaster, in which hundreds of workers died of acute silicosis while digging the hydro-electric tunnel for Union Carbide. You can learn more about the book, and about Harshbarger, at this Web site. The reading and book signing is from 6:45 p.m. to 8:45 p.m. Saturday. (though the time is listed differently on Taylor’s Web site). Will buy this book , as I am a Milton boy myself, and remember Dwight very well, proud of him and his accomplishments, can’t wait to read the book. Read Witness at Hawksnest, enjoyed it very much, ordered In the Heart of the Hills today from Borders, they were out of it at the store, look forward to reading it also, good to see you , best of luck in Morgantown.